When I am offered the opportunity to babysit my grandson I typically accept. Since our visits together are so few and far between I try to make them special. I want him to experience things with me that he does not get from anyone else. I am a regular shopper at daily deals sites. Anyone who knows me knows that I rarely pay full price for anything. 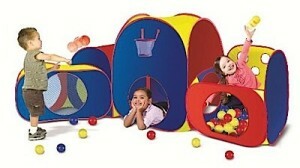 When I saw the ‘Playhut Mega Fun with Balls Tent‘ appear on Woot I quickly went to Amazon to read the customer reviews. 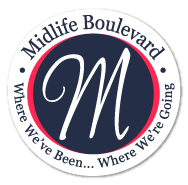 Satisfied that this was a great product that I wanted to try out with my grandson I purchased it. It arrived just in time for my grandson’s next visit. As the picture above shows it is comprised of 4 tent pieces, a bag of 48 balls specifically for the ball tent and a basketball for the tent with the basketball hoop attached to it. All the tent pieces ‘twist ‘n’ fold’ down for easy storage. My living room is small so I only put up the basketball tent and the ball tent. I could have put up the entire thing outside, but the weather was not cooperative for this visit. It would be an understatement to say that this was a success. We had a ball together, no pun intended. 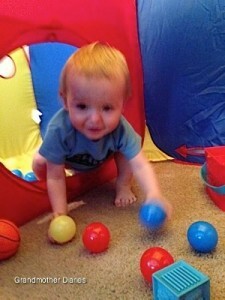 He loved sitting in the ball tent and playing with the balls. Oh the noises that came out of mouth… I laughed till I cried. Crawling through the connecting openings was just as fun. The basketball hoop was a success as well. Each time he made a basket I would shout ‘2 points!’ and he would make fists and a shout of victory. So much laughter and fun! Although grandma did not actually crawl through the tents I did peak my head through the openings to play ‘peak a boo’. I foresee many more hours of fun in the future. My verdict is that this is a great product. What cute pics 🙂 This would get my vote as well. I remember a tunnel I had when I was a kid and loved it. This looks even better. 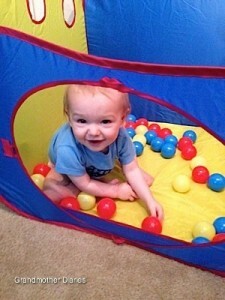 My friend's babies already have this Playhut Mega Fun with Balls Tent. They please house game daily. Thanks for this great review.